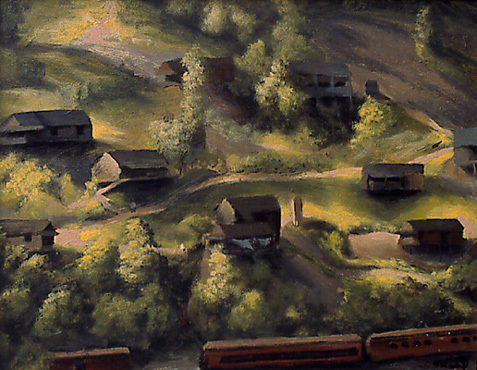 In 1949 Hazard, Kentucky was a small mining town not much changed from the previous 30 years. The artist lived there for several weeks, one of which was spent with the day shift in one of the mines. The miners were protective of the artist in this dangerous environment. A series of paintings resulted.